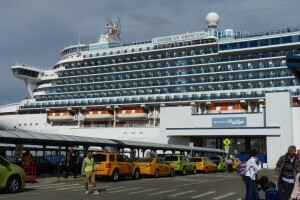 At the Brooklyn Cruise Terminal, the beautiful Caribbean Princess awaits her passengers. Winter time is cruising time. The outside temperatures have hit uncomfortable and painful all-time lows. With that in mind, everyone wishes they would be someplace far warmer. That’s very true. Whether it’s The Bahamas, the eastern or western Caribbean, or the Hawaiian islands, the warm weather cannot be a more appropriate surrounding. What better way would anyone experience the warm weather other than via cruise ship? However, first-time and minimally experienced cruisers don’t always know what exactly they should pack in their luggage? What should be packed in carry-on luggage? 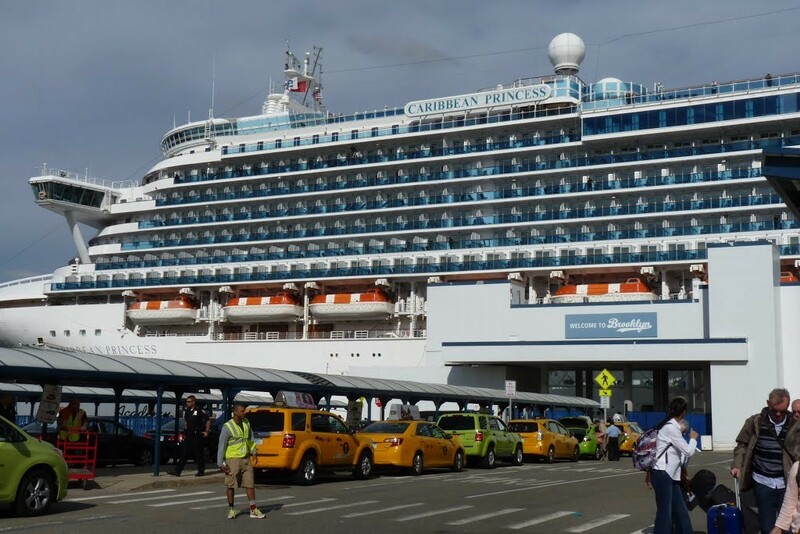 Before leaving for the cruise terminal, being one hundred percent prepared goes a long way. To make cruise packing simple, here is the cruise vacation packing cheat sheet. 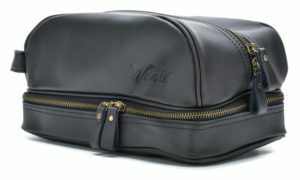 10) Toiletry bag: When flying to a cruise port city, following the TSA’s 3-1-1 rule is a must. When driving, taking a bus, or a train, carrying more than three ounces of tooth paste, aftershave, shaving gel, body wash, etc, is perfectly allowed. Every toiletry bag should contain all of the essentials to last a full week on board. Cotton swabs, band aids, sanitizing gel, and other hygienic items should be packed. Cruise passengers should always give their toiletry bag a once over, re-stocking it if needed. Unlike the airlines’ 3-1-1 rule, cruise passengers are welcome to take along a toiletry bag with items over three ounces. 9) Rechargeable batteries: Whether AA, AAA, or D cell, packing rechargeable batteries is paramount. Cruise lines charge incredible mark-up prices on batteries. The night before sailing day, cruise passengers must charge up their batteries before loading them into their electronic devices, including cameras. A little bit of preparation keeps cruisers “going, and going, and going, and going, and…”. 8) Underwater camera: For brownie points, this is for all cruise passengers who wish to capture many great cruising moments. Whether on a snorkeling or scuba diving excursion, or just capturing underwater moments on board ship, an underwater camera is the perfect must-have for making any cruise vacation the utmost memorable. To make life simpler, Amazon.com also carries waterproof wrist watches with hidden camera lenses. Wherever there’s water and fish to be seen, an underwater camera cannot be forgotten. 7) Head wear: On the open decks on a cruise ship, the sun shines much higher and brighter. Wearing the right head wear makes all the difference. The more protection from the sun, the better. Baseball caps, beach hats, and visors are perfect cruising head wear. Cruisers must not leave home without packing one of each form of head wear. For cruise passengers with fair skin, whether on the open decks or on shore, head wear should be worn at all times. Many shore excursions are “rain or shine”. 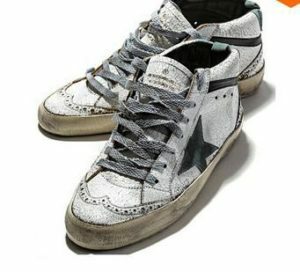 Guests must pack a pair of worn sneakers that can be disposed of. 6) Sneakers: While packing, cruise passengers must remember to pack one good pair of sneakers and one junk pair of sneakers. Cruise passengers should not wear good sneakers on a hiking or ATV adventure, especially if it involves wet and muddy terrain. Once done wearing the pair of junk sneakers, they can be disposed of on board ship. Once the junk sneakers are handed to the stateroom attendants, they can be properly disposed of. Even better, that allows a few inches of packing room in the suitcase for duty-free souvenirs! One last thing-cruise passengers must not forget their sandals! 5) Shoes: All cruise lines except Norwegian Cruise Line have formal nights on board. With this being said, cruise passengers must pack at least two pairs of shoes. Cruise passengers should pack one pair of dress shoes for the formal nights, along with a pair for dressing casually. On the first night on board, the dining dress code is normally casual. For all other nights, cruise passengers should consult the cruise program to see what dress code is being observed. Having done so, it’s easy to tell which shoes must be worn. Proper shoes are a must. No cruise is complete without knowing what goes on the feet. 4) Sleep wear: Everyone has their own sleeping habits. Everyone has their own sleeping dress code. What is worn to bed on board ship is no different from what is worn to bed at home. Whether they wear just bottoms, a two piece outfit, boxers, sleeping pants, or just plain au natural, this part of the cruise vacation packing cheat sheet is completely up to the passengers. Passengers in verandas (balconies), however, must look presentable when going out for a stretch and a breath of fresh air. Guests are responsible for packing proper swim wear on all cruises, including clothing optional cruises. 3) Swimwear: This is where it gets interesting, and rather funny. Packing the proper swimwear is a must when cruising. Bikinis, even thongs, are allowed. Men’s thongs are completely discouraged. When wearing thongs at the breakfast or lunch buffet, women should cover up or wear a sarong. Note: Swimwear is required on the Bare-Necessities clothing-optional cruise, a couples cruise, or a swingers cruise. While in port, all guests must be properly dressed, unless at a tendered port-of-call. 2) Sun tan lotion: In accordance with proper head wear, cruise passengers must pack whatever sun tan lotion they use at home. At sea, the sun shines higher and brighter. Cruise passengers should pack a stronger SBF than normal. A sun tan lotion with an SBF of 30 or 50 provides maximum protection from the sun’s rays at sea. Cruise passengers should purchase their sun tan lotion at home, since sun tan lotion on board ship is much more expensive. We must be one with the sun. All cruise passengers are required to carry proper proof of citizen ship, including visas (if necessary). 1) Proof of citizenship: No one is allowed to check in for any cruise without proper proof of citizenship. Proof of citizenship includes passports, passport cards, birth certificates (with photo ID), and proper visas (if necessary). 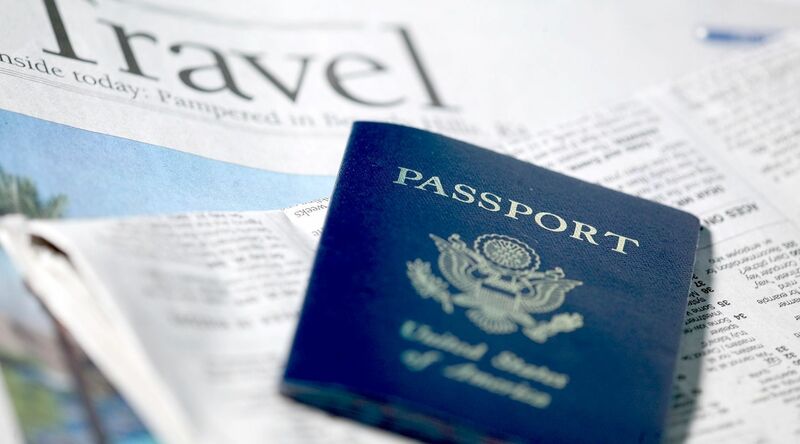 Proof of citizenship may also need to be accompanied by a parental consent letter, doctor’s letter (for pregnant passengers), and special documentation if visiting the United States for employment or educational purposes. Without proof of citizenship, guests are denied boarding. Cruising during the winter is always a pleasure. Getting away from the extreme cold weather is everyone’s deepest desire. Whether sailing from California, Texas, or Florida, slipping into that warm weather clothing can never feel more comfortable. Cruisers embarking in the New York area or Baltimore feel an even stronger urge. Regardless of port city and itinerary, following the cruise vacation packing cheat sheet is a must. Double checking the toiletry bag is vital. Packing rechargeable batteries, head wear, a junk pair of sneakers, shoes, sleep wear (if applicable), proper swimwear, and sun tan lotion with a proper SBF are all musts. Proper proof of citizenship is paramount. It’s normal for anyone to forget things. When it comes to cruising, being one hundred percent prepared is the way to go. Routinely following the cruise vacation packing cheat sheet will ensure a fun time every time.